Metalcam releases a new Fikus Visualcam version to consolidate this CAD/CAM solution for workshop floor in a World reference position. In order to keep being acknowledged for its easy to use capabilities and its high productivity ratio, it is necessary to maintain a big and permanent effort in innovation, improving all the functionalities to become, everyday faster, easier to use and more efficient. At Metalcam we work every day to maintain Fikus Visualcam as a leader solution and, for this reason we launch to the market the 18th version of our successful workshop floor CAD/CAM software. This time, Fikus Visualcam comes with a brand new logo. Fikus Visualcam needed a new image to express compromise with innovation, wich we offer to our users an optimal level in both productivity and versatility with a real easy handling. This new logo displays a cleaner a modern image, with a strong personality linked with the CAD/CAM activity. 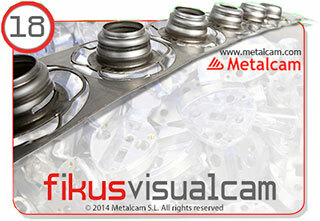 Fikus Visualcam new version introduces improvements in all technologies. 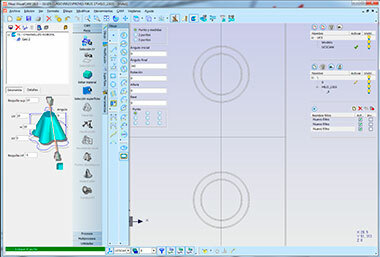 New function thato interactively will generate the part cutting plane. A New library that allows reading big DXF/DWG files and pre-select entities to import. Improvements in "Extrusion", "Revolution contour", "Lineal dimensioning / Ordenates" and "Print" functions. Improvements in format translators and a new STEP format exporter. In addition to these general improvements, there are many more specific improvements in every technology to help users to make their job easier and more productive. In Fikus Visualcam 18, we could highlight the new Fikus 3dcad module, a new application for 3D hybrid design of solids and surfaces, including all the needed functions to design, import, fix and work with 3D geometry. Quick geometry editing, including assembles; to there is no need to be a CAD expertise anymore. 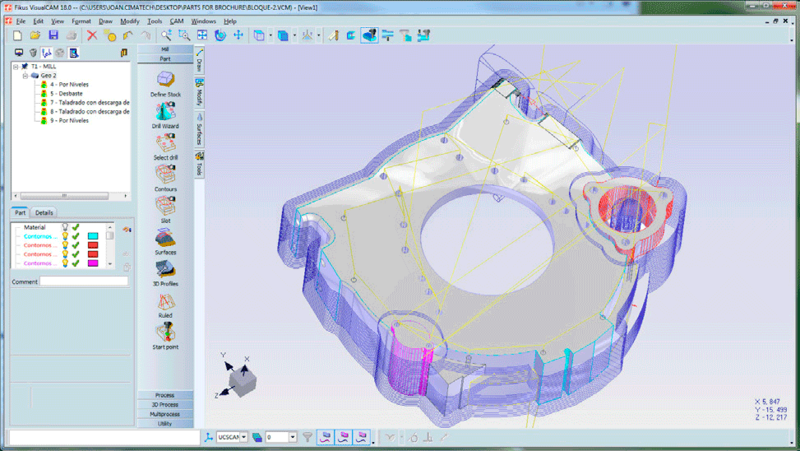 Create new models and re-use CAD data, including big assembles. 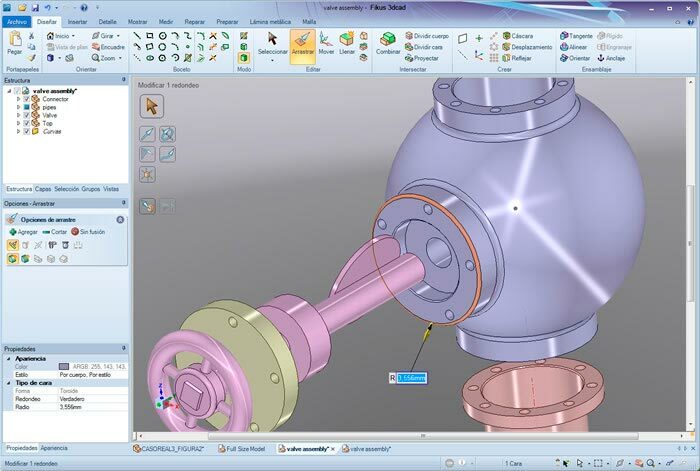 Prepare CAD models for machining, including complex parts. Problematic geometries can be fixed easily. Corner tool also available in 4X. 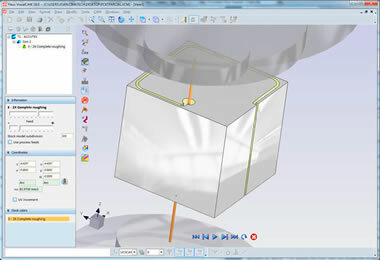 Select and link several geometries so you can start the machining process or use the wizard tool afterwards. Improvements in 4x automatic distribution and surfaces selection. Systematization of taper and cutting side calculation, whether for open or closed contours. Partial offset functions also for 4X parts. Cylinders selection as wasting start points. New machine simulator that shows the cutting process. In 2X contouring you can automatically generate a partial pocketing to those regions that might generate scraps when cutting. You can eliminate selected geometries any shorter than indicated. Passes number control in bi-tangencies (Pencilling). Linking movements in arc shape. In roughing processes you can control the remnant material from precedent processes. Improvements in surface treatment processes to reduce hardware memory consumption. Slot process with pass increasing in helicoid slope. Improvements in the threading process. Quick movements between processes to control check contours. Remnant material is now shown after every process. 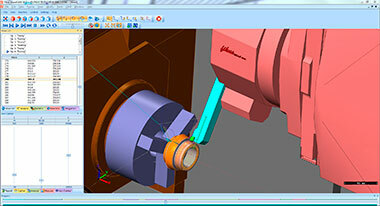 Enhanced 2.5D milling processes: slotting, threading, remnant areas. Now, while the finishing process, Fikus Lathe lets you decide whether to complete the area or continue only with the remaining material. The machine simulator has been also improved and a new process for additional lathe functions control has been implemented. The most remarkable improvement in this technology is in the cutting parameters database. The cutting parameters database is now fully customizable and will easily adapt to any customer needs. This list is far from being the complete list of new features and functions, as many little changes and improvements are not included. Moreover, we used a new technology for development that will allow us to include new changes and improvements in this very same version, thus becoming unnecessary to wait for version 19 to enjoy future enhances.